Megan Carney is a medical and sociocultural anthropologist. She has been a lecturer at the University of Washington since 2012. Her research specializations include women's migration, food insecurity, migrant health, and immigration policy. 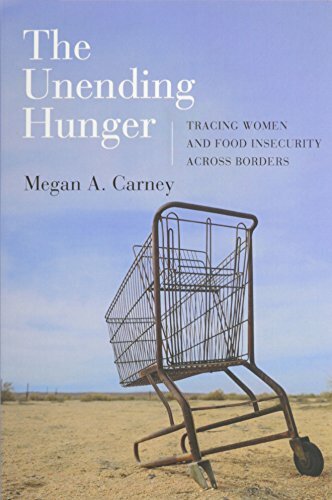 Her book The Unending Hunger: Tracing Women and Food Insecurity Across Borders (UC Press 2015) is based on multiple years of ethnographic fieldwork that she completed while attending the University of California-Santa Barbara. In addition to studying migrant health issues in the United States, she also studies the health dimensions of migration and political asylum of Africans entering the European Union, specifically Italy. She is a contributing editor of Anthropology News and sits on the board of the Society for Medical Anthropology.